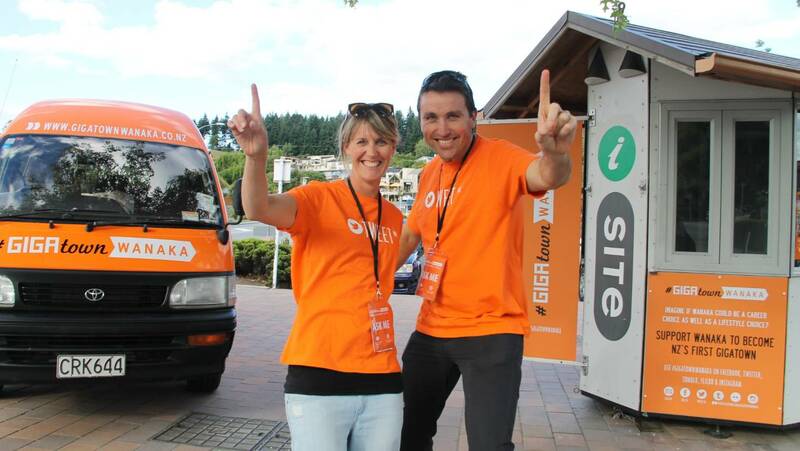 Startup Queenstown Lakes and Ignite Wanaka is pleased to announce the merger of the CUBE into the Startup Queenston Lakes family of programmes. This agreement formalizes a year-long collaboration between Ignite Wanaka and Startup Queenstown Lakes to expand CUBE programming through the Queenstown Lakes District and establish a unified entrepreneur and startup ecosystem. Learn more below about how Wanaka community leaders created the Centre for Unique Business Evolution (CUBE) and laid the groundwork for a district-wide startup community. As the effects of the Global Financial Crisis continued throughout NZ, communities looked for ways to stimulate the economy. In October 2013, a handful of Wanaka entrepreneurs and business leaders saw gold when Chorus announced the Gigatown Competition, an opportunity for the winning community to land fibre optic data services laid into the town and secure grant funding to help further stimulate the economy. A committee was formed and the group soon expanded with support from across the Upper Clutha district to secure Wanaka one of the first stops on the information superhighway in the South Island. The competition served as a spark for individuals throughout the area to begin to dream about an economy energized by the bandwidth and funding. In September 2014, only five towns made it through to the final round – Dunedin, Gisborne, Nelson, Timaru and Wanaka. The energy behind the competition grew as more and more citizens joined the campaign. It is estimated that local individuals and business invested approximately $300k. The five finalists sent representatives to the United States city of Chattanooga, Tennesse to find out how the once-struggling city had turned its fortunes around during the past decade, helped by gigabit internet speeds. The network – originally introduced for a power company’s ”smart grid” – had attracted $50 million in new venture capital, fuelling business growth and creating between 1000 and 3500 new jobs. Wanaka was represented in the U.S. by Good and Arna Craig, Director of marketing agency Fever Pitch. Ultimately, Dunedin was declared the winner. But the resilient group had momentum and a vision. Members of the Gigatown working group reformulated elements of their contest submission and submitted a proposal in April 2015 to the QLDC long-term funding plan (LTFP). Leaders for this initiative included Good, Craig, and Alistair King, a partner at consulting firm Crowe Horwath. The submission included an entity that was designed to be a catalyst for growing economic development in the Upper Clutha region. Dubbed the Centre of Unique Business Evolution or CUBE for short, the submission addressed the need for economic diversity that aligned with the district’s recently created Economic Development Strategy. The funding submission was successful and QLDC approved $200k ($100k per annum over two years) of funding to test and see how the results could positively impact the economy. Later, an additional $50k would be funded to extend the program for a further six months. The funding provided support of the administration, business development programmes and a contribution to the salary of the Business Development Manager. That role would be taken on by Jason Watkins, who would carry the torch for CUBE until the end of 2018. The founders of the CUBE worked quickly to develop programmes for existing local business, aspiring entrepreneurs, attracting new business to the Upper Clutha region, and help grow the local economy. They launched a Co.Starters business start-up training programme, the Little Entrepreneurs club and weekly Code Club sessions for children. Business Mentoring Initiative connected participants with a business mentor in a flexible arrangement that connects entrepreneurs with seasoned business executives to help them along their entrepreneurial journey. Entrepreneur Speaker Series featured keynote speakers and panel discussions made up of local and out-of-district entrepreneurs covering a range of subject matter including disruption, innovation, diversity, and sustainability. Business Basics Workshops where participants went away with the tools and knowledge to launch a business idea. Entrepreneur Scholarships offered a package of assistance including a cash grant, mentoring and access to other support initiatives. Angelic Drop-ins (held in partnership with Flying Kiwi Angels) provided an opportunity to get advice from a qualified, experienced angel investor. Startup Health Check Clinics enabled a one-on-one mentorship session with a business advisor to look at issues facing the business. Though Wanaka did not win the competition, their original efforts continued to pay off. Spark officials moved the community up the list to get fibre sooner than originally scheduled in 2020 across the rest of Wanaka. By early-2015, a gigabit fibre service (one giga-bit of data per second) was installed in the Wanaka CBD. 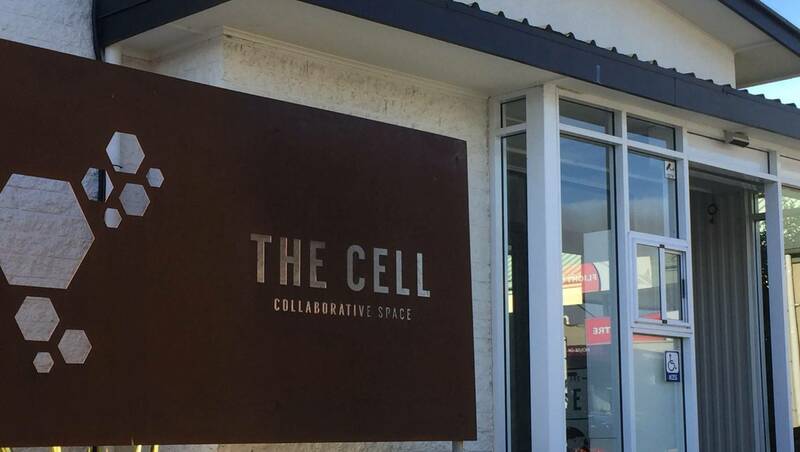 A new co-working space, The Cell, was created to give entrepreneurs and innovators a place to collaborate and work together and this was the only location in the CBD with a gigabit high-speed connection. In due time, such businesses such as award-winning design company Revology, video production company Colab Creative, and jeweler Alice Herald all found a home in the new space. By summer 2017, the CUBE programmes were well known throughout the community. The CUBE and Cell, which were intimately connected, were split with the CUBE falling under Ignite Wanaka (Wanaka chamber of commerce) and the Cell beginning to operate as a separate entity. Economic development in the district was also evolving with QLDC hiring Peter Harris to lead economic development. The next step of entrepreneurship in the district was about to be taken. Entrepreneurs on the other side of the Crown Range had taken notice of the work being done in Wanaka. Many had ventured over to participate in sessions, lectures, and panel discussions. They started asking themselves why wasn’t the same level of coordination happening in Queenstown? Harris invited a diverse group of entrepreneurs, investors, and community stakeholders together in a kickoff meeting at Queenstown Resorts College to talk about what it would take to start a district-wide startup community. Watkins was among the attendees from the Upper Clutha and shared with the group the lessons learned in Wanaka. The group soon evolved into a small team of organisers who sought to figure out how to leverage QLDC’s investment in Wanaka into a district-wide strategy. Watkins, along with Trent Yeo, director of ZipTrek Ecotours, A.J. Mason, local innovation and community advocate, Harris, Richard Liew, publisher of NZ Entrepreneur Magazine, and James Burnes, then CMO of tech startup Wherewolf, led the development of the plan. The Queenstown committee started by organising a monthly meetup, dubbed Entrepreneur Coffee Jam to bring startup enthusiasts, founders, and investors together. Those sessions began drawing 30-40 people and the group wanted to go further. The second step was bringing some of the core skill-building sessions the CUBE was hosting in Wanaka for Queenstown. In early 2018, the Business Basics workshop and Startup Health Check clinics became a monthly staple in Queenstown. It was around this time that the Queenstown contingent submitted a district-wide proposal to organise and operate the startup ecosystem to QLDC’s annual planning process. Rather than submit differing or competing proposals for Queenstown and Wanaka (and the surrounding region), all parties would submit under a singular funding approach and work collaboratively. By the middle of 2018, Entrepreneur Coffee Jams were taking place in both Wanaka and Queenstown, and the Flying Kiwi Angels had returned with their Angelic Drop-in sessions to Queenstown. The mix of programming in both markets was building a community. With this approach and support from Ignite Wanaka, Queenstown Chamber of Commerce and others, the district council saw a cohesive operation. The submission to QLDC received partial funding sufficient to continue the CUBE programmes and a few new initiatives to get started in 2018/19 fiscal year. Founding trustees Yeo, Mason, and Gemma Zust, then an attorney at law firm Mitchell Mackersy Lawyers, founded Startup Queenstown Lakes Trust to handle community funds and implement the proposed strategy. Toward the end of 2018, Startup Queenstown Lakes trustees and Ignite Wanaka officials began to formalise the process of transitioning management and budget oversight of CUBE activities from the chamber to the trust. Burnes, a member of the original organising committee and the lead author on the submission to QLDC, was appointed to the leadership of Startup Queenstown Lakes. At the end of November, the founding trustees handed off governance of Startup Queenstown Lakes Trust to leaders selected by an independent panel. David Wallace of Armillary Private Capital and Wayne Hudson of WHIPIT legal and venture advisory services were appointed, both based in Wanaka. Luke Taylor, GM at Go Orange was appointed from Queenstown. “Economies of scale, centralised scheduling of programmes, sharing of resources and general collaboration outcomes drove the decision. Both groups were effectively operating as one entity. Merging the two tidied up the loose ends and promised to give council clear optics of activity, progress and impact,” said Burnes. The new trustees finished up the agreement between the chamber and trust, with the arrangement becoming finalised in time for official launch with 2019 events and programmes. The plan for the CUBE brand and website is not yet finaliszed. The CUBE website has been linked, wherever appropriate, to entrepreneurship.co.nz, Startup Queenstown Lakes’s web site, for event calendars and related information. CUBE core programmes like Business Basics and Health Check Clinic have been expanded in 2019 across the district. Business Basics has shifted from a 2-hour lecture to two separate workshops: Business Model Canvas Workshop (3 hour focus on the business model, customer, and offering) and Business Basics – First 90 days (2 hour focus on core activities and actions necessary in the first 90 days of launching a business). View calendar of events. Ignite Wanaka chair Bridget Legnavsky and Jason Watkins at the Startup Queenstown lakes End of Year Shindig at gin & Raspberry in Wanaka. “It was always envisioned that the CUBE model could be applied successfully in other locations and it is truly fantastic to see this come to fruition with a district-wide initiative,” said Watkins. Watkins, who has gone on to pursue other projects, will continue facilitating some training but will no longer serve as the lead business advisor for the organisation. Startup Queenstown Lakes is looking to recruit a replacement. Trustees, which now includes QLDC councilor Alexa Forbes, staff, and volunteers are working to build the local economy, regional opportunities, and national influence. Much like the vision for the CUBE started out small, it grows as enthusiasm and confidence return results.